Okay, okay, it’s not a “brand” per se, but this belongs on the list anyway. 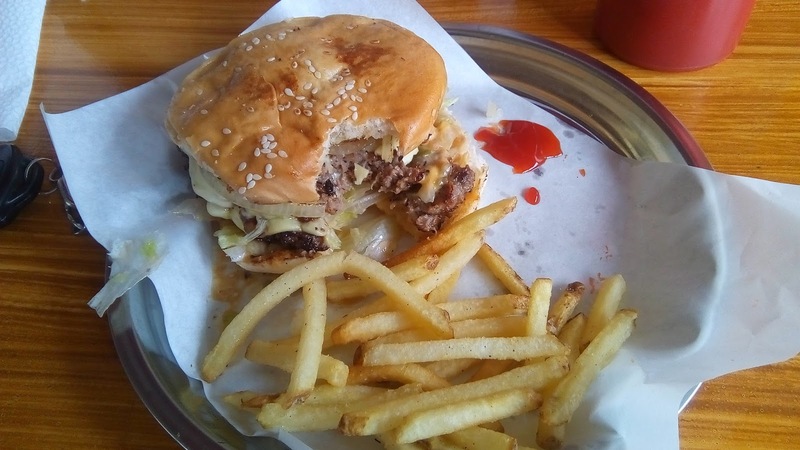 Many people here love to get their cup of joe at Starbucks or Coffee Bean and Tea Leaf, and we love pizzas from Pizza Hut or fast food from KFC and McDonalds (I get the occasional Big Mac attack, myself…with extra pickles); but why not focus on local here as well? Not only can we focus on the Filipino food chains more often (Jollibee, Chow King, Army Navy, Yellow Cab, and my favorite, Pizza Republic), but let’s also endeavor to support the local players from our home cities. More likely than not, the food and service in these local diners and mom & pop shops are better; and you feel great because you’re supporting friends, or at least the commerce in your city if you don’t know the owners personally. On a more personal note, if you are from Cagayan de Oro or are visiting our city, please make it a point to patronize the following establishments. They are all owned by people I personally know. Food: My Granny’s Burger & Steak, Magill’s Bistro, Annabel’s, Barkadahan Grill, Thai Me Up, Taco Bistro, Ribs & Bibs, Red Tail Shrimps & More, Ringside Sports Bar, Savannah’s Pizza, Gulp Juicery. Coffee: Aroma Café, Coffeeworks, Coffeeholic. For top quality coffee to bring home, try Hineleban coffee, a later entry on this list. My son has just flown back from Angeles City, Pampanga after competing hard in the Pilipinas Cup national soccer tournament. Almost exactly one year prior, he was also on the soccer field here in Cagayan de Oro, but he was rendered near-useless due to the severe asthma attacks he frequently had (key word – had). My search for a way to help the poor kid, but without the nasty drugs, led me to this awesome company. GoProtect. Made from moringa, lagundi, oregano, and sambong, this powerhouse combination of herbs was responsible for my family members naturally beating asthma. Other infectious diseases like the common cold and flu also seem to affect us less. 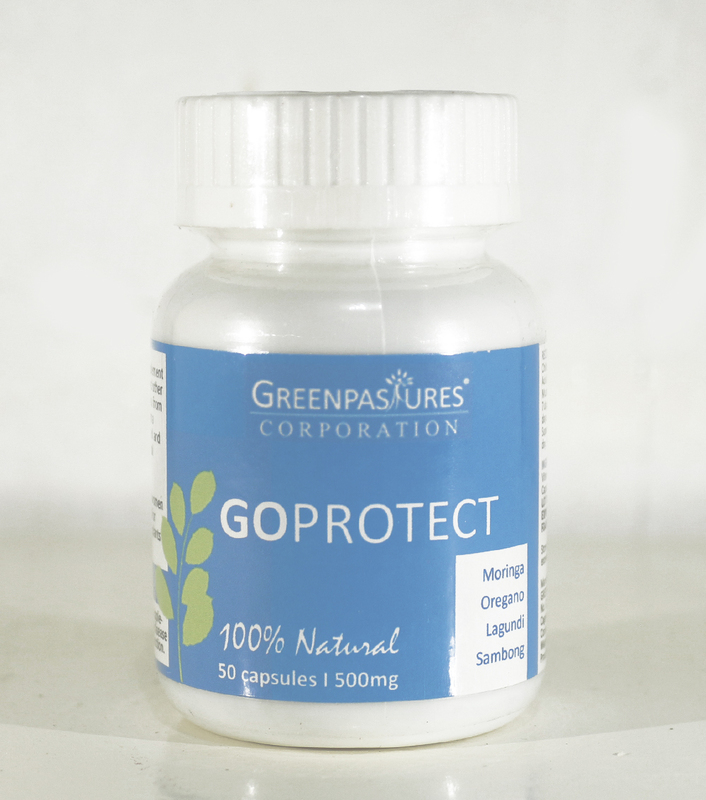 You can buy a bottle of GoProtect here, with delivery to anywhere in the Philippines. GreenPlus. This one is made from moringa and spirulina, and the two ingredients are so nutritionally dense that GreenPlus has replaced our imported vitamins, and at a fraction of the cost to boot. I’m a stickler for both value-for-money and patriotism…and I think you should be too. Buy GreenPlus here. Moringa Oil. With VCO as the base oil and with essential oils from moringa, peppermint, eucalyptus, citronella, among others; Moringa Oil is one of the best things you can apply to your skin. Your skin is moisturized, mosquitoes stay away, the peppermint oil leaves a cool feeling (GREAT for this weather), and your skin gets a plethora of antioxidants. Moringa Oil has replaced my skin lotion, sun block, after shave, insect repellant, and even deodorant. Do you wanna give it a try? Click here. Moringa Touch. Think Vicks Vapor Rub, but with no harmful chemicals and it’s green because of the moringa. Moringa Oil has been a huge blessing and we have used it as a rescue balm for burns, muscle aches, insect bites, rashes, and headaches. It’s like a more concentrated version of Moringa Oil, both in strength and in application. After seeing how effective these products were, I just had to become more involved with Greenpastures. The links on every product above go to my online shop that allows you to avail of these products wherever you are in this country. If you’re the networking type, then this is a fantastic company to join as they have a very competitive compensation plan and it’s new (and you networkers know the advantages of being first in line). The discounts can be huge, like 50% off huge, and, come on, there’s a LOT of asthma sufferers in this country and you’ll do them a great service. Wanna find out more? As the now-overused saying goes, ask me how. Why pay international prices for international quality sportswear? Accel is the #1 Filipino sports brand, equipping Filipinos in all sorts of sports disciplines, and it deserves our patronage. I am very much a soccer parent, and it amazes me to see a multitude of kids in these tournaments and leagues wearing P 3,000-6,000 shoes (and matching apparel) from the international brands. As supportive a parent as I am, it pains me to shell out that kind of cash for something that, if my son does not wreck it first, he will soon outgrow. Even for us adults, especially if we’re just weekend warriors or playing at the club level, why would we pay an arm and a leg for expensive sportswear? I’d much, much rather go for value-for-money…and be patriotic while I’m at it. For example, my son’s newly acquired pair of Accel Chieffy soccer shoes costs only P1,699, about half or even a third of the price of his other shoes, yet it performs just as well as they do. In fact, one of Accel’s marketing gimmicks is that for the price that you pay for a pair of shoes from an international brand, you can dress yourself up from top to bottom using Accel. Value for money? For sure. Now, this is not from Greenpastures, but instead it’s a product found in the malls. Out of curiosity, my family wanted to try this product out, and wow did it work great for them! Malunggay in shampoo? I thought it was weird too, but try it and you’ll be a convert. Moringa O2 stands for Moringa, Omega (from sunflower oil), and Olive – the 3 main ingredients of this hair care line. 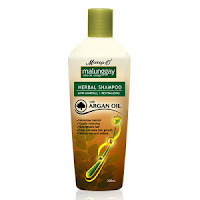 The product my family uses most is the Herbal Shampoo with Argan Oil. Not only does it clean your hair well, but it puts a whole lot of antioxidants into it as well, not to mention essential fatty acids Omega 6 & 9, and minerals such as calcium. That’s the benefit of using natural products like this, you get so much bang for your buck. The hair line also includes a herbal conditioner and hair relaxing serum. My family hasn’t tried the latter, but they also like the conditioner and use it regularly. Other than being so excellent, and of course that it is made here in the Philippines, we also like that it is very competitively priced. Really, there is no excuse to not support your locally made products, because the Philippines can make great stuff too! Keep yourself updated with this blog, as later articles will feature products 5 thru 12. 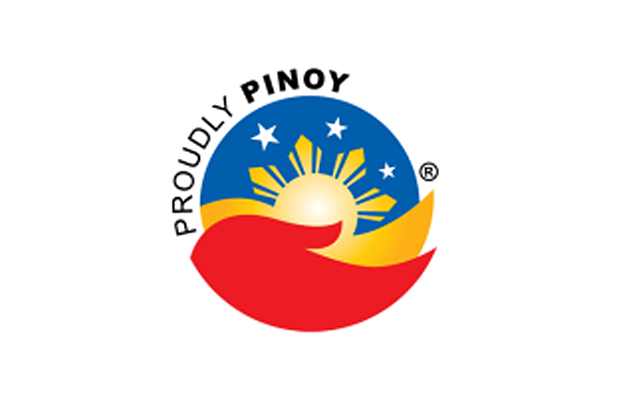 Before you go, lemme ask a question: what Pinoy products do you support and patronize? UPDATE #1: part 2, showcasing products 5-8, is now online. Please click here to see it. UPDATE #2: part 3, showcasing products 9-12 is now online. Please click here to see the conclusion to this series. Agree! Philippines products are great, too! Nakasanayan na lang din kasi ng karamihan na kapag gawang ibang bansa, mas de-kalidad. I'm also using Moringa O2. Thanks for sharing your favorite brands. I love supporting local Filipino brands, and startup local brands. Recently I've bought my fashion bags from the bag makers came from Cebu and Samar, and bought abaca fabric for my dresses. Next PostNext Tis the season for Balikbayan Boxes! Here are the best items to send, IMO.